Nikhila Deo Schroeder, M.D., M.Eng. 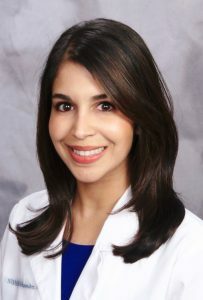 Dr. Nikhila Schroeder is board certified in both Allergy & Immunology (adult and pediatric) and Pediatrics. She is well regarded for her deep connections with patients, innovative strategies, and community service. She believes that the foundations of quality healthcare are a strong patient-physician relationship, an integrative approach, and personalization of care. Dr. Schroeder created Allergenuity Health to build an ideal care community for people affected by allergies and to do everything she can to end the isolation that she has seen affect so many people and families with allergic conditions. She is thrilled to share her vision with everyone through her work with Allergenuity Health to help patients gain control over their allergies in order to live safer, healthier, and happier lives. Dr. Schroeder was born and raised in Wisconsin. She attended college in Cambridge, Massachusetts at the Massachusetts Institute of Technology where she obtained both Bachelor’s (2004) and Master’s of Engineering (2005) degrees in electrical engineering and computer science with concentrations in biomedical engineering and music. Despite her love of engineering, it was always her calling to become a doctor, so she went on to medical school in Madison, Wisconsin and earned her Doctor of Medicine degree from the University of Wisconsin School of Medicine and Public Health in 2009. She met James during this time, and they moved to Charlottesville, Virginia where Dr. Schroeder then completed her Pediatrics Residency training program (2012) and Allergy/Immunology Fellowship training program (2014) both at the University of Virginia. Because of her special interest in immune-modifying allergy treatments, especially sublingual immunotherapy, Dr. Schroeder sought further experience in this area and gained a position at Allergy Associates of La Crosse. From 2014-2017, she treated nearly 1000 patients with sublingual immunotherapy from all over the country. In 2018, Dr. Schroeder and James decided to move their family to Charlotte, North Carolina and open Allergenuity Health in their vision. Dr. Schroeder cherishes spending time with her family and enjoys being goofy with her kids. She loves cooking, swimming, traveling, visiting friends and family, doing community programs, and keeping music in her life by singing and playing the ukelele. She is excited about working with her husband James to bring Allergenuity Health to life. James is a graduate of the University of Virginia’s McIntire School of Commerce where he studied accounting and IT. He and his wife, Dr. Schroeder, believe that business can be successfully conducted in an honest and transparent way, including healthcare. James is excited to create Allergenuity Health in this vision, prioritizing patients and reducing the frustration that is now typical in healthcare. James was born and raised in Wisconsin. He began college at the University of Wisconsin Whitewater in 1995. In 1997, James joined the Marine Corps and spent 8 years traveling to different places and meeting new people. Upon returning home from overseas, he joined the police academy and worked for 4 years as a police officer outside of Madison, Wisconsin. He and Dr. Schroeder met in Madison, and after she finished medical school, they moved to Charlottesville, Virginia. There, James wanted to return to college to finish obtaining his degree and subsequently graduated from University of Virginia’s McIntire School of Commerce in 2013. After graduating, James worked at a startup company as a digital marketing specialist and furthered his website development skills. When he and Dr. Schroeder decided to have children, he took on the most difficult and most rewarding job of all for awhile as a stay-at-home parent, while also continuing his digital marketing work through his own LLC called Leapstart Design. 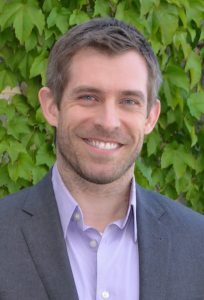 In 2018, James began his role as Practice Executive with Allergenuity Health. James loves spending time with his family and trying to make everyone laugh. He has always been very active and enjoys staying in shape playing basketball (when his knees let him) and lifting weights. He loves traveling, exploring new cultures, and cooking new foods. He is having a great time working with Dr. Schroeder to develop their combined vision into Allergenuity Health.